Today Mumbai sees coldest morning of this season and also witnesses 2nd lowest temp in last 6 yrs for Feb month. Pune also witnessed coldest morning of this season & also sees 2nd lowest temp in last 6 yrs for Feb month. 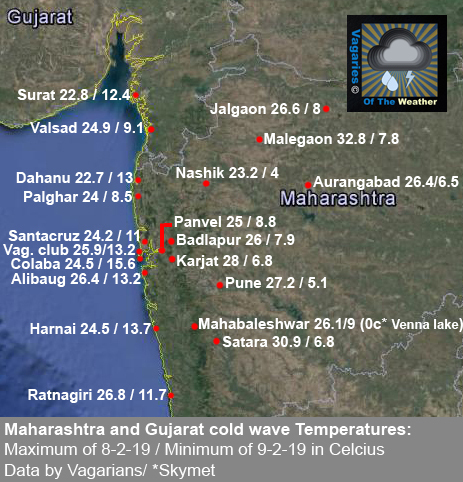 Also was lowest temp of season in parts of North Kokan & Madhya MH region in Maharashtra.